Eastern Sicily is particularly special as you can visit the whole area in a few days. From Corso Umberto you can reach the Greek-Roman Theatre, Piazza IX Aprile, the park, and many other sights. 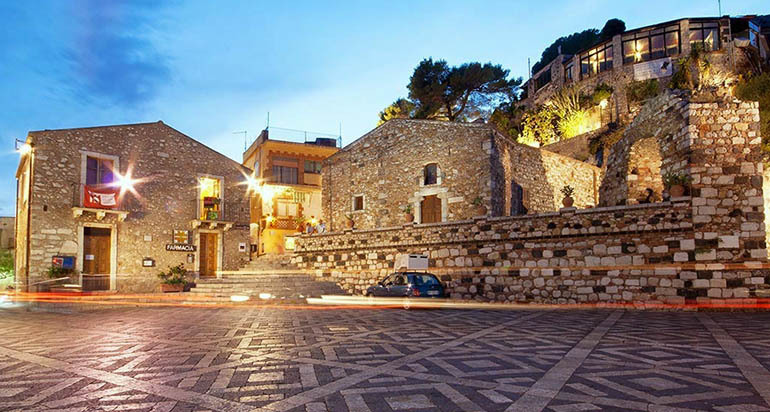 You'll be amazed by the tiny little cobbled streets with their shops, restaurants and bars that will help you enjoy the true Sicilian cuisine and atmosphere. 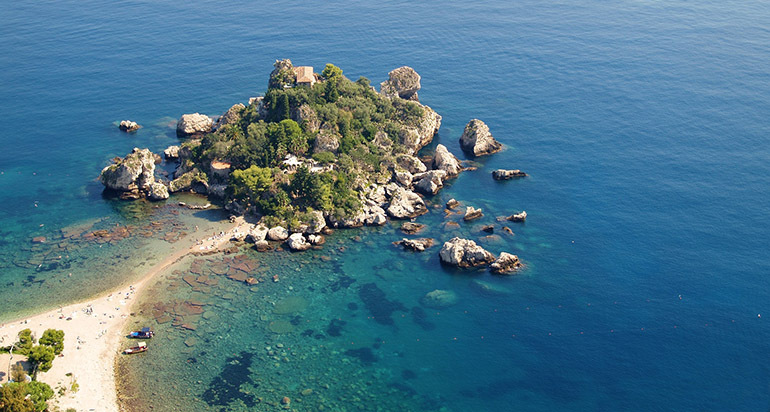 Giardini Naxos, Letojanni, Isola Bella... they're all perfect locations if you want to enjoy the sea and the sun. You don't like the sea? 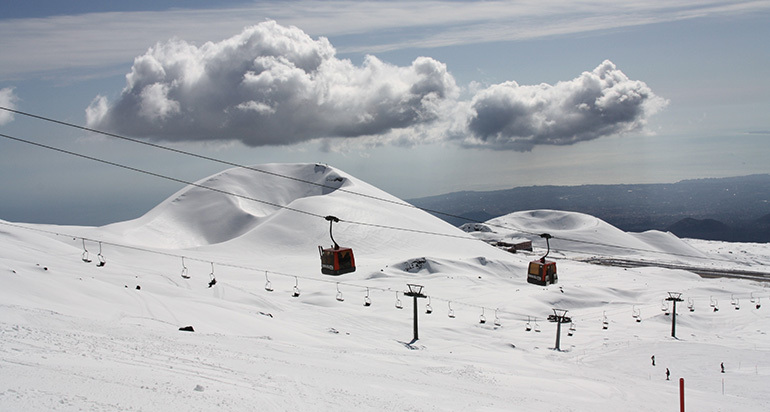 No problem, you can enjoy a wonderful excursion on Mt Etna and through its natural park. Our Spa Boutique "La Roccia di Cristallo" will help you relax thanks to its jacuzzi, sauna, emotional shower and Turkish bath. It'll definitely improve your health! 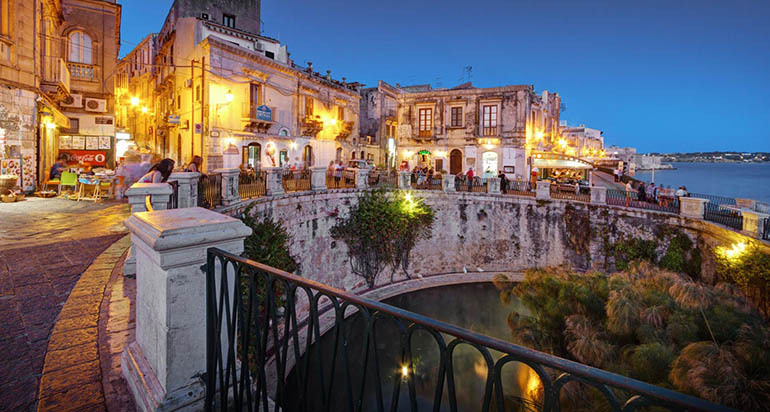 You may hang around the tiny little streets of this medieval town, do some shopping in the shops, enjoy our Sicilian cuisine in the restaurants and, above all, the wonderful view of the surrounding landscape. If you travel by car, we suggest you visit Syracuse, Noto, Agrigento and Catania. 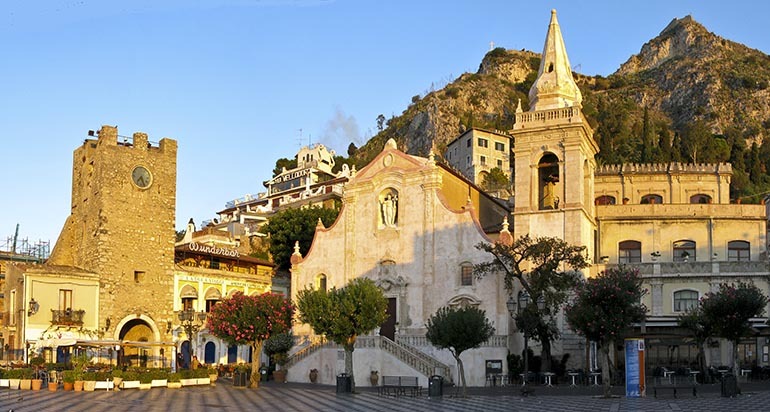 These are wonderful destinations to discover what Sicily has to offer in terms of nature, culture, history, theatres, night life and much more!